Myrtle Beach accommodation includes a wide range of hotel rooms, suites, condos, villas & apartments with ocean, waterway, resort or golf views. The area is 60 miles long and there over 500 different accommodations so choosing where to stay is a minefield. We have spent many years identifying the properties that suit the British market. A huge number of hotels provide inadequate accommodations and facilities for stays of a week or more. The US market is geared towards 3 and 4 night stays and most of the properties reflect this. Nothing worse than arriving at a hotel for a 14 night stay only to find you have a closet big enough to hang a handful of garments in! Fairfield Inn Broadway is our best value hotel and is situated across the street from Broadway at the Beach. By contrast, Hampton Inn Broadway takes pride of place right at the end of the Broadway complex, overlooking the lake. Rates are more expensive but for some the location is worth the extra. Both offer standard hotel rooms with a basic continental breakfast included. Hampton Inn also have room upgrades such as lake view and king studio. Situated overlooking the Ocean between Myrtle Beach and North Myrtle Beach is Hilton Myrtle Beach Resort. The hotel has multiple pool complexes, beach bar and comprehensive spa and fitness centre. Ocean Reef Resort has rooms, suites and condos up to 4 bedrooms. It has long been popular with British visitors, not least for the late opening bar! 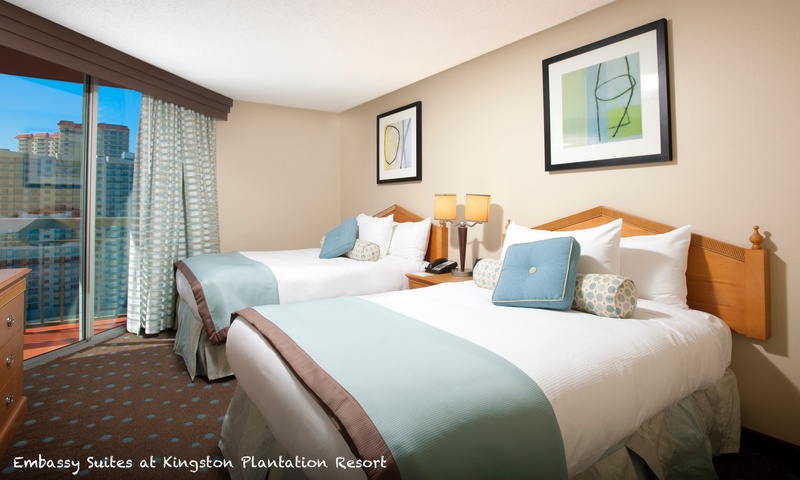 Kingston Plantation Resort has the ocean front Embassy Suites as well as 1, 2 and 3 bedroom resort view villas and ocean view condos. The neighbouring Hilton, mentioned above, is also part of the Kingston Plantation group. The Marriott Myrtle Beach Resort is a top class ocean front hotel with all the facilities and service that you would expect from a Marriott. 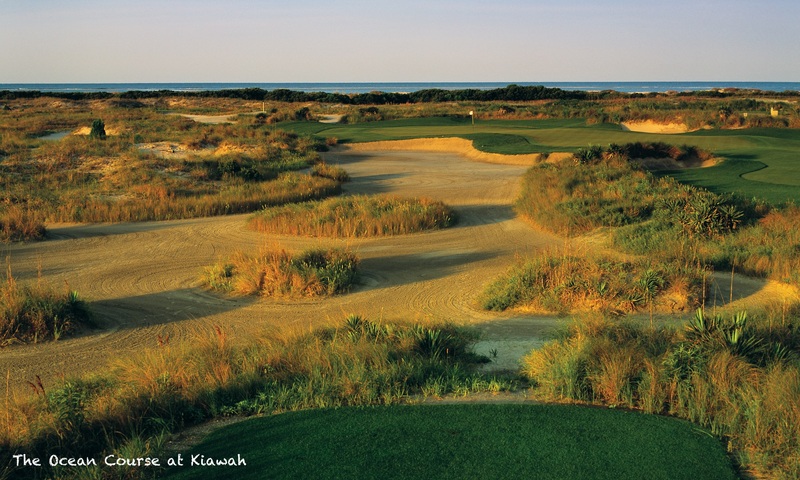 As an alternative to ocean front views we also offer the elegant Marina Inn at Grande Dunes. Marina Inn is situated overlooking the Intracoastal Waterway with views of the local marina and Grande Dunes Golf Club. Barefoot Resort & Golf is located across the Intracoastal Waterway from Barefoot Landing so a good option if you want to be within walking distance of shops, restaurants and bars. The resort offers a wide variety of high quality 1, 2, 3 and 4 bedroom villas and apartments at affordable prices. If you are looking for a quieter location you can head 30 minutes south to the Pawleys Island area.